My Travel in London 5 ~ London to York ~ You were right, Ricky. “The signal is red,” the announcement echoed in the quiet underground train. I was in a tube train which was waiting at West Brompton Station in London on the early morning of March 20. It was at around 6:30 a.m. There were a few passengers in the carriage. The door kept opening and the train showed no sign of starting. That announcement was probably two or three minutes after I got on. I thought, “You were right, Ricky,” when I heard the message. I was supposed to take a rail train which left King’s Cross at 8:00. 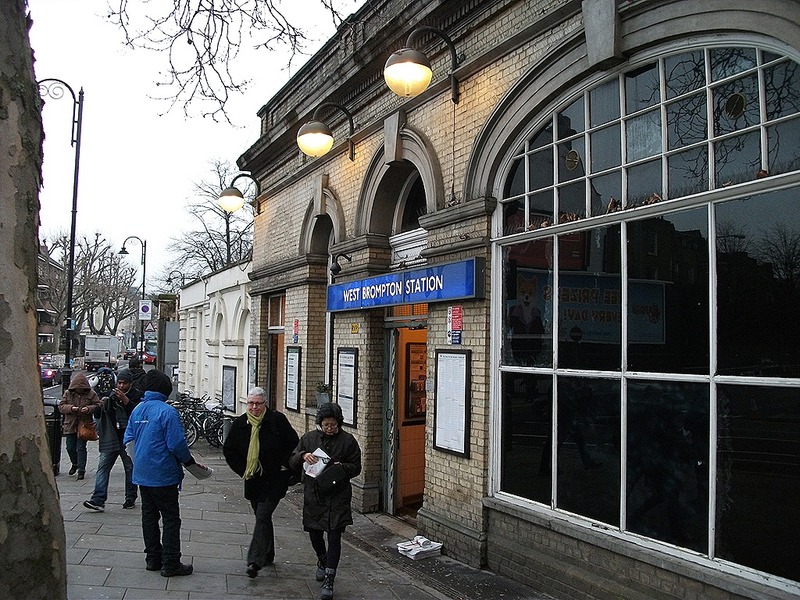 Ricky, who is an English teacher in Japan, had advised me, “You should take the underground at least at 6:30 because they often stop.” The tube train left West Brompton Station about five minutes later, but it stopped in the dark tunnel before reaching Earl’s Court, the next station. After a while, there was an announcement: “The signal is red. “You were right, Ricky,” I thought that again. At King’s Cross Station I went to the restroom. It was my first experience to use a pay toilet. 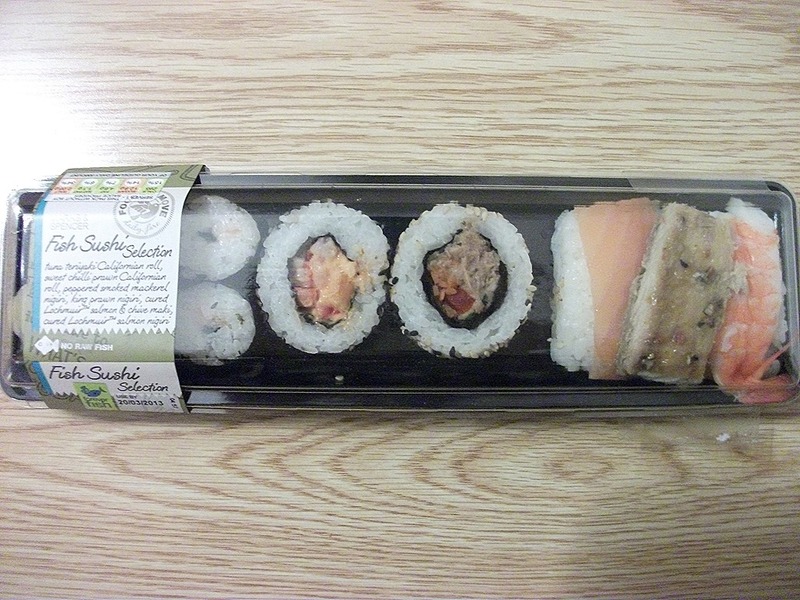 It cost 30 pence. I had 30 pence, but I did not have 10 and 20 pence coins. The gate just accepts the two types of coins. So, I had to exchange at the machine nearby. At 7:45 the train I was supposed to ride started boarding. My coach was E. The train was filled with passengers. Most of them took out their computers and papers from their bags and started to work as soon as they sat in their seats. I was doing nothing but seeing changing scenery from the window. 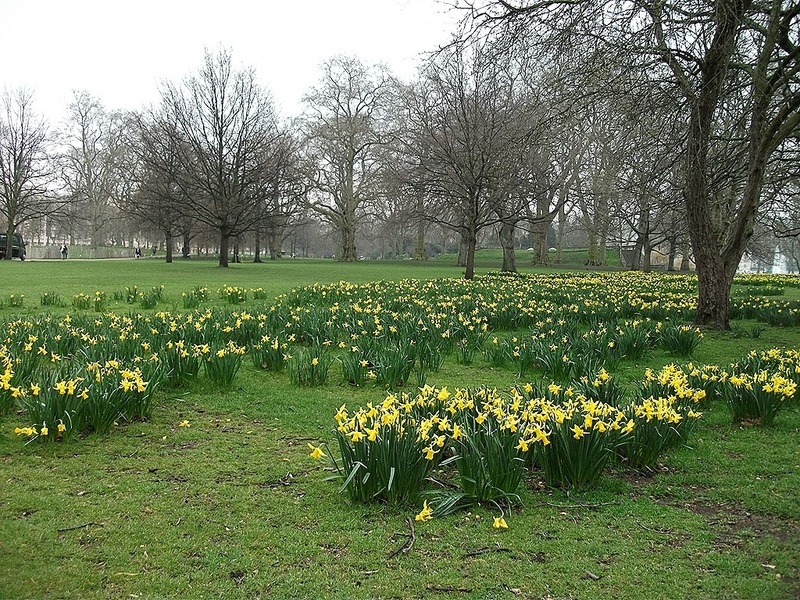 Vast meadows were spreading outside. I sometimes saw some small brick houses, sheep and horses there. The train was heading north toward Edinburgh, passing through fields covered with white snow. 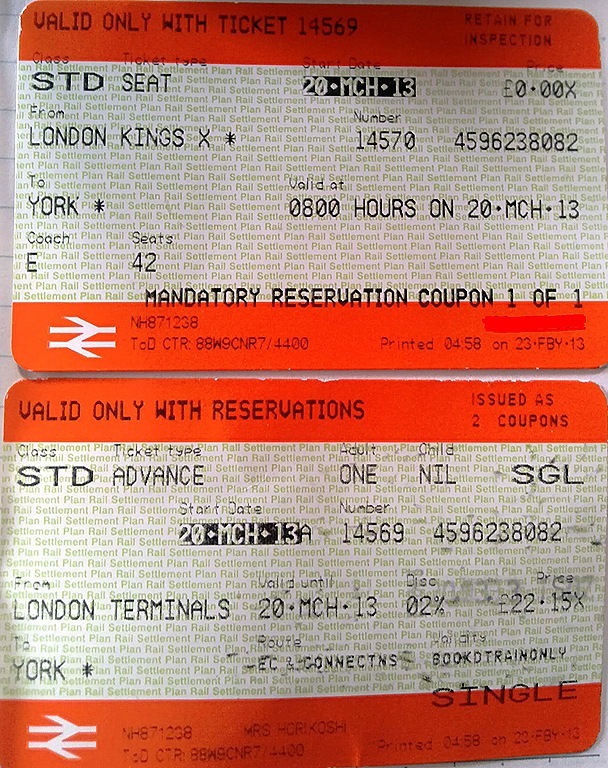 My destination was York, where I was supposed to see a friend of mine. She is a Japanese student at the University of Hull. The monotonous landscapes and the rhythm of the train made me sleepy. “Anything for your refreshment?” A voice of a spirited and cheerful man echoed in the carriage. He was pushing a trolley loaded with drinks and snacks. Many of the passengers stopped moving their hands on the keyboard or scattered papers before them and called out. “Coffee.” “Orange juice.” “Coffee and chocolate.” I was thinking of the word of “refreshment” while hearing their verbal exchange. I was trying to find a proper translation into Japanese. But I could not find a good one. “Refreshment” is a nice word. More than an hour had already passed since I got on the tra in. 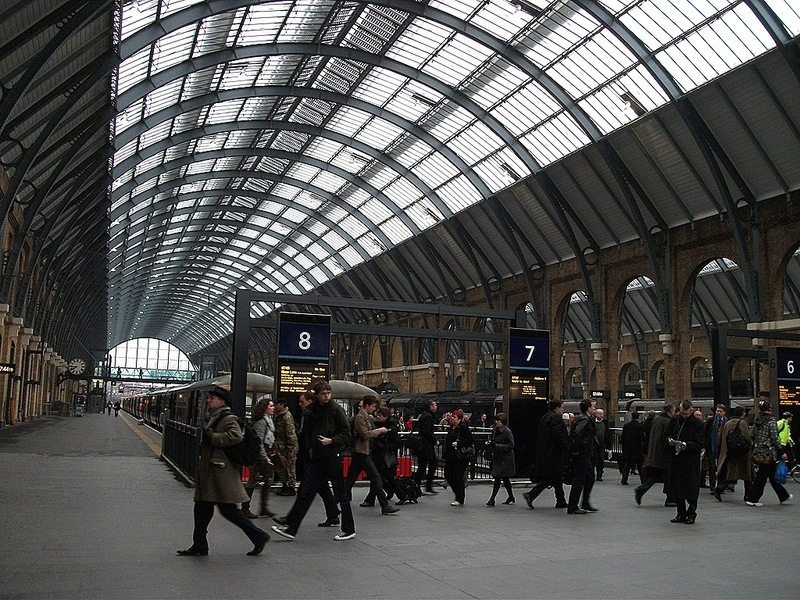 There are six stations between King’s Cross and York…I thought that. But the train had not stopped once yet. Probably it was an express. The first station it stopped was York. Some of the passengers in my coach also got off the train there. They did not look like tourists but business people. Alighting, they rapidly disappeared from the station. I was the only person who was left behind on the platform. “Yuko-riiiiiiiiiiiiiiiin!” I waved to my friend who had been waiting for me near the entrance of the station. I was relieved to see her smile. Yes, I had arrived at York! Actually I was going to write about the town this time. But I’ve already written quite a lot. I’ll tell you about York next time. 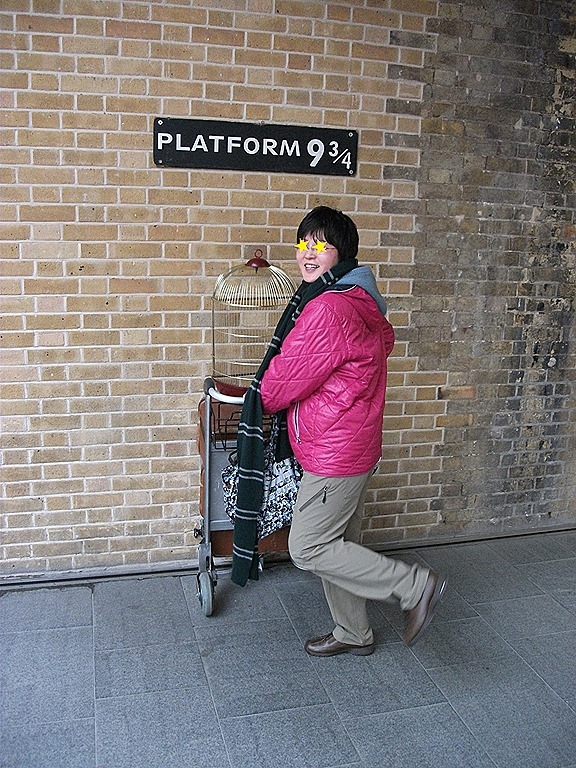 My Travel in London 4 ~ City, King’s Cross, Knightsbridge ~ : Slytherin! 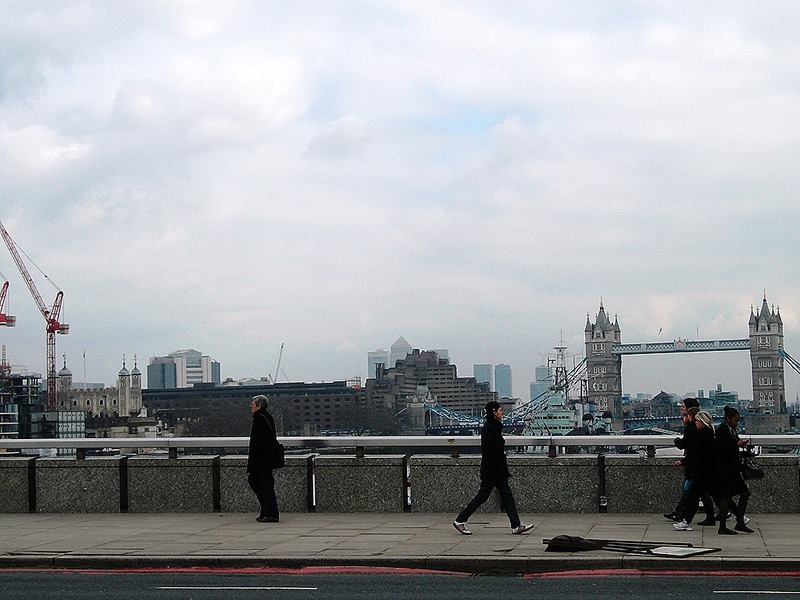 Looking at Tower Bridge and Tower of London on the right, I was walking across London Bridge toward the north bank of the Themes. 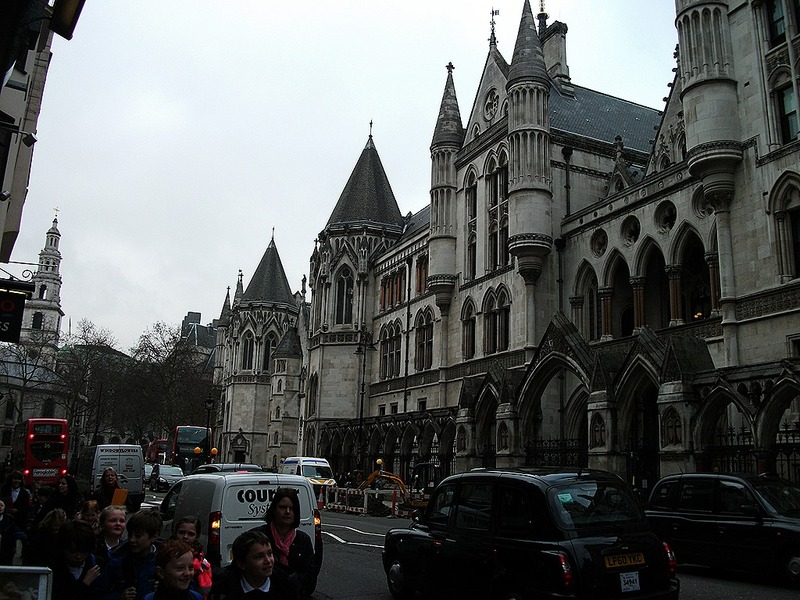 (I was traveling in London on March 19. 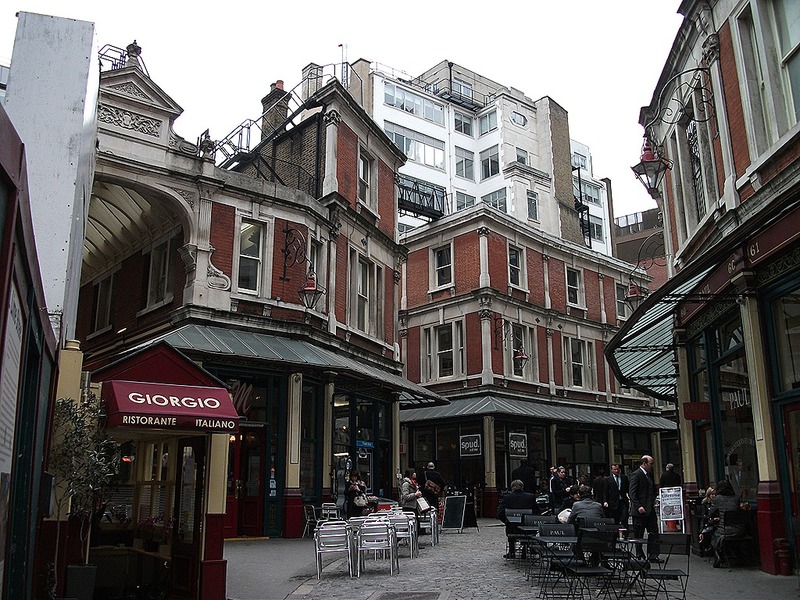 The former episodes are here: My Travel in London 1, My travel in London 2, My travel in London 3) I was going to Leadenhall Market. 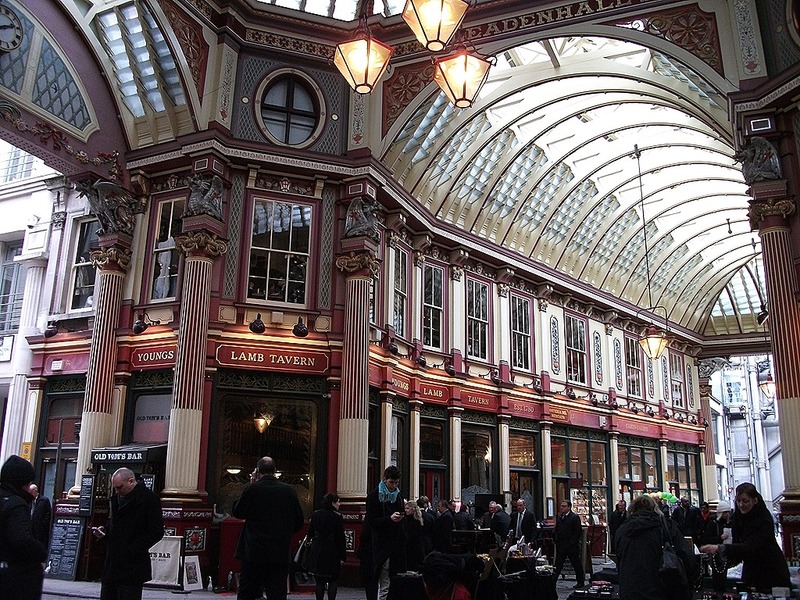 If you are a fan of Harry Potter, you might know the place was used as the Leaky Cauldron and Diagon Alley in the films. 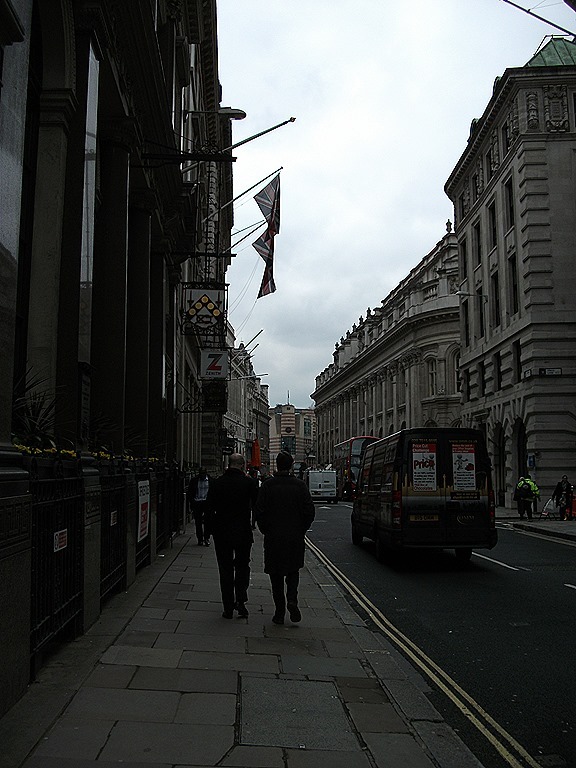 Leaving Leadenhall Market, I walked on Cornhill, the street which is the financial center of London. There were historical stone buildings on both sides of the street. 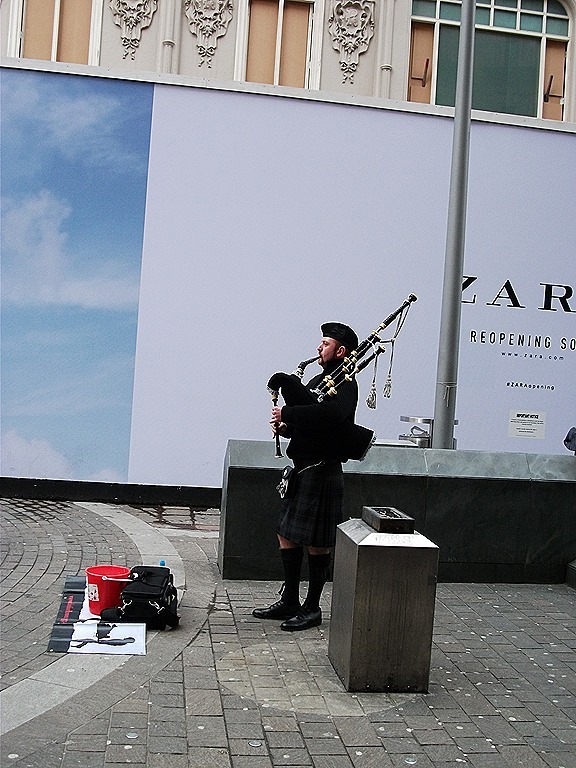 Some of them are now used as shops of luxury brands such as Tiffany & Co., Hermes, and Paul Smith. 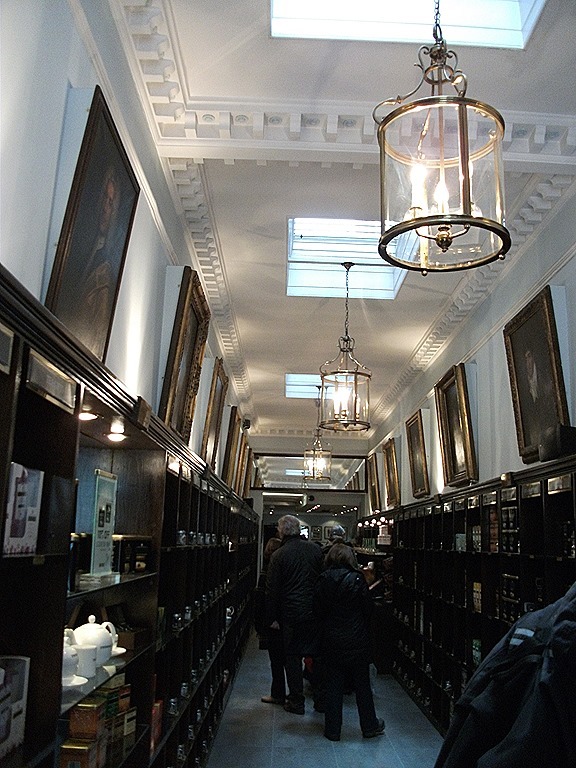 It was interesting that the appearances were historic structures but the inside was modern shops. 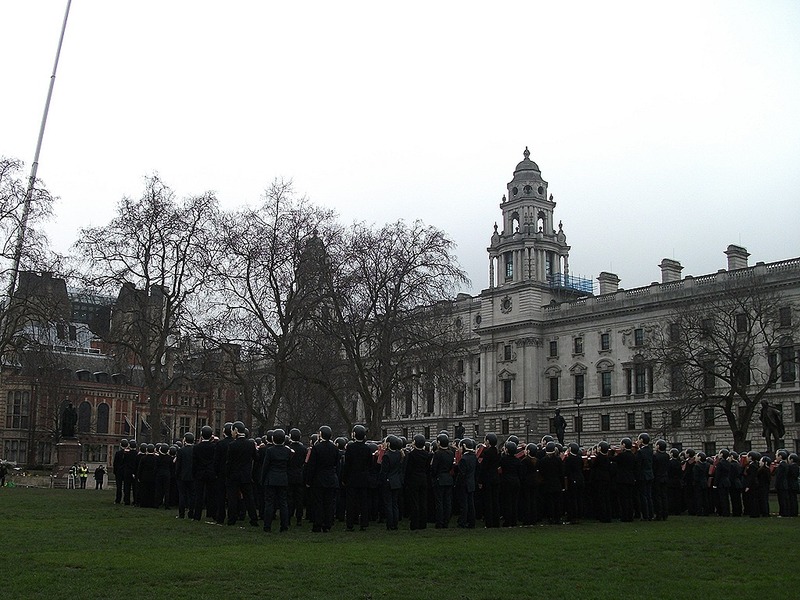 Shortly after I arrived at Bank Tube Station, and got on the underground there. 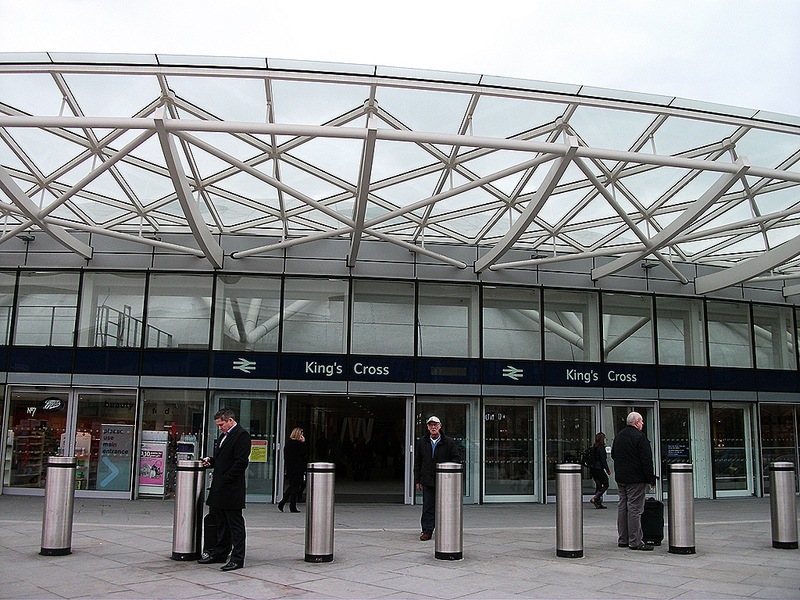 Using the Northern Line, I arrived at King’s Cross Station. 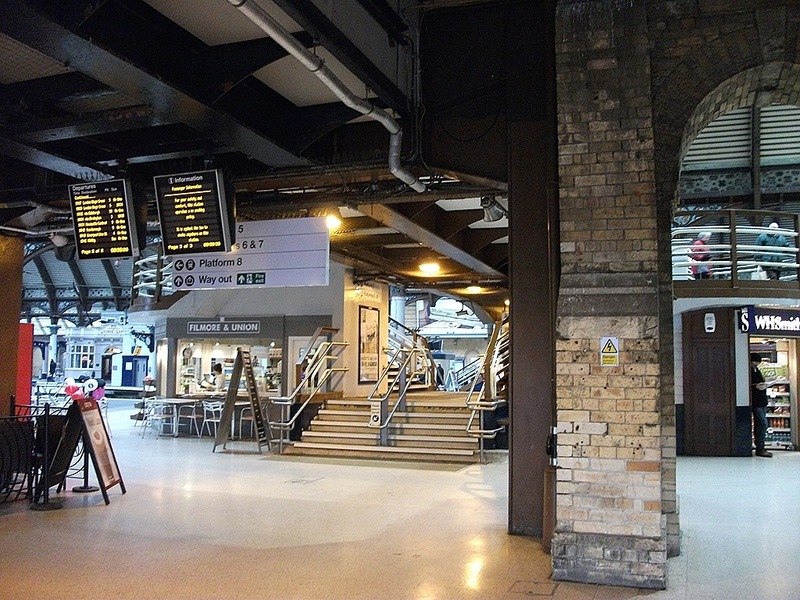 Harry Potter and his friends had gotten on the Hogwarts Express from Platform 9 3/4 in this station. There were two men in station attendant costume in front of the wall. They looked bored because there were no tourists around there. I wondered if Platform 9 3/4was no longer a tourist attraction. Actually it still is. Two days later when I passed by the same place, more than 30 people were very excited to take photos. So, it might have been a kind of miracle I was the only person who was standing at the spot at that time. “Excuse me…but could you take a photo for me, please?” I asked the two men. “Of course!” They consented willingly to my request. They were not real station workers, but the clerks at Harry Potter shop nearby. One of them asked to me, “Which house’s muffler would you like to wear?” When I shouted, “Slytherin!” they shouted back, “Slytherin? !” in surprise. 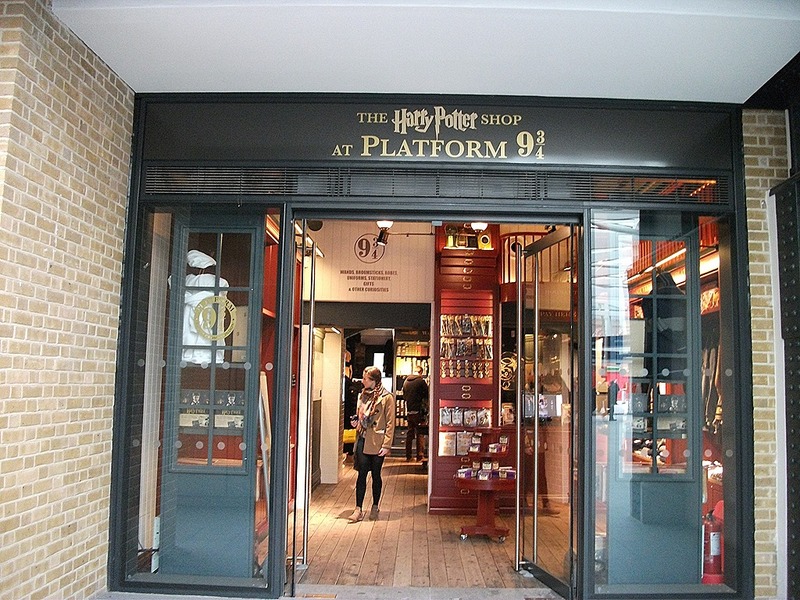 I am a fan of Professor Snape… I thanked them and dropped by the shop. I bought a pack of Bertie Bott’s Every Flavor Beans there. Happy! Then I used the Piccadilly Line from King’s Cross and got off the train at Knightsbridge Station. 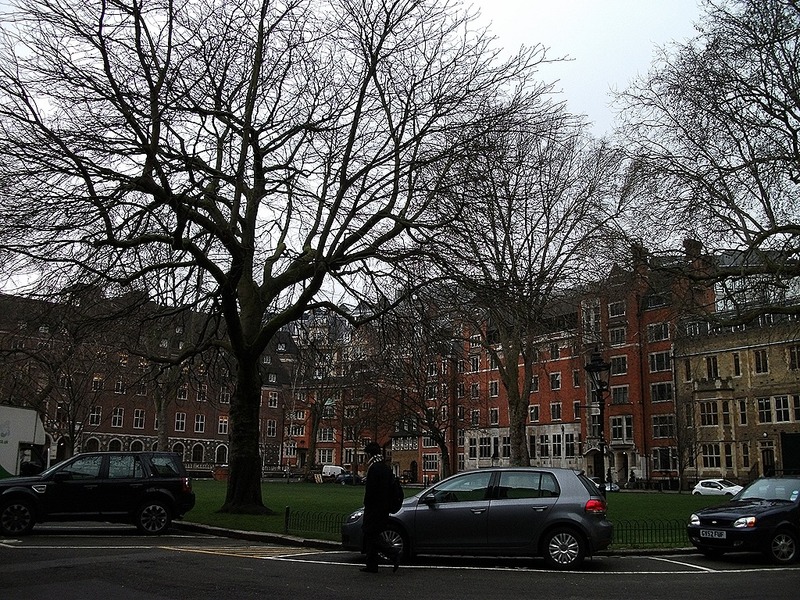 I wanted to see the Cadogan Hotel, where Oscar Wilde had stayed, and the Ecuadorian Embassy, where Julian Assange, the founder of WikiLeaks, was staying…But I could not find both of them because I had not checked with a map beforehand. Besides, I was too tired to search. 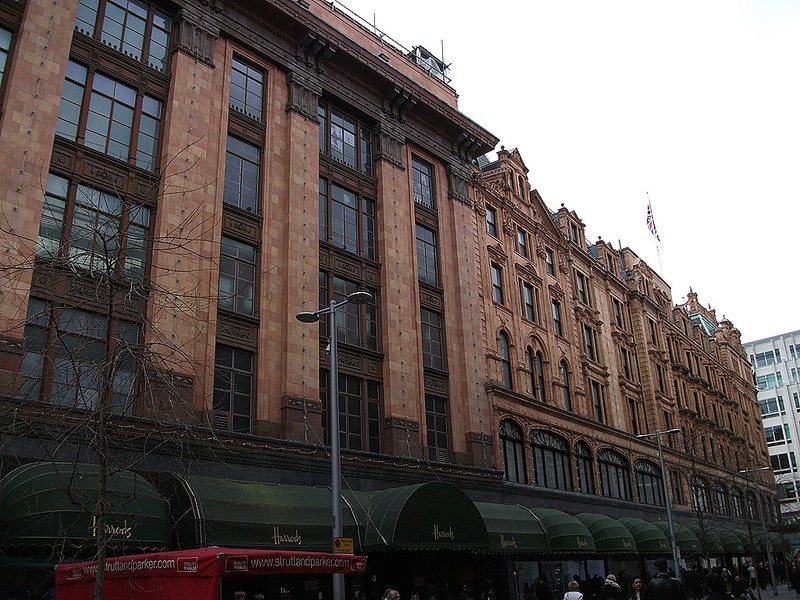 So, I went to Harrods and enjoyed sopping there. 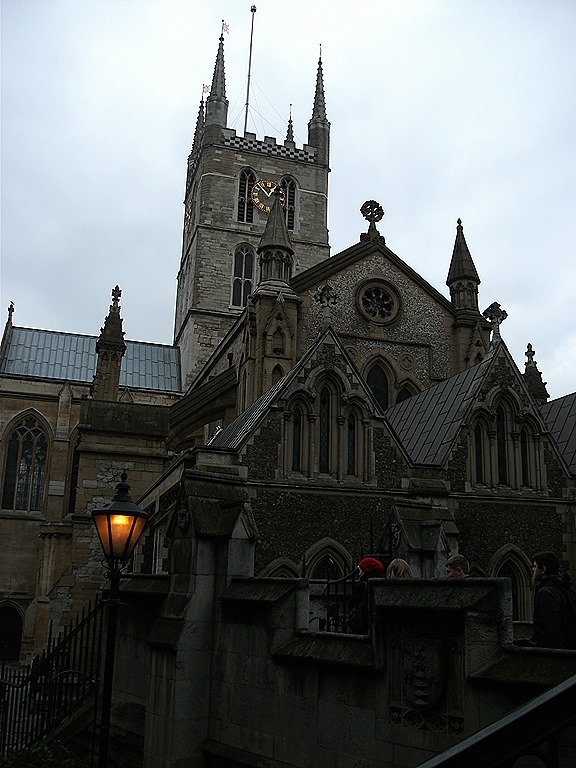 My Travel in London 3 ~ Southwark ~ : Do you live here in this church, Cat? Tate Modern was being occupied by high school (probably) students…I crossed the Millennium Bridge and came to the museum. 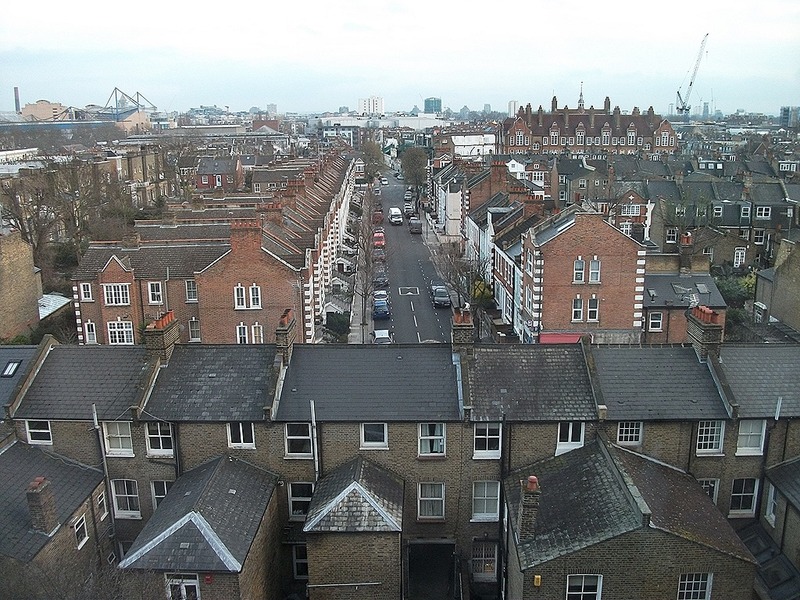 (I was traveling in London. 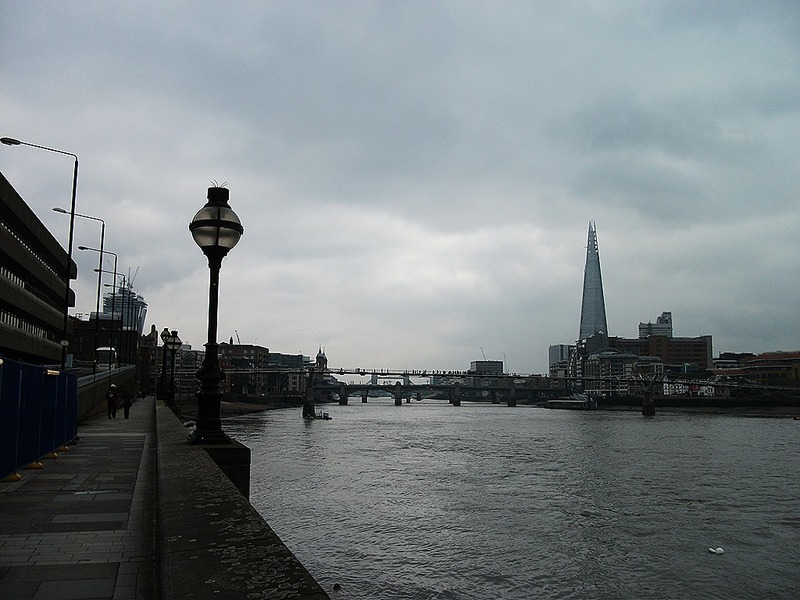 The former episodes are here: My Travel to London 1, and My Travel to London 2) While walking on the bridge, I already passed bunches of students. Many groups of young people were coming and going before me when I arrived on the south bank of the riveropposite riverside. 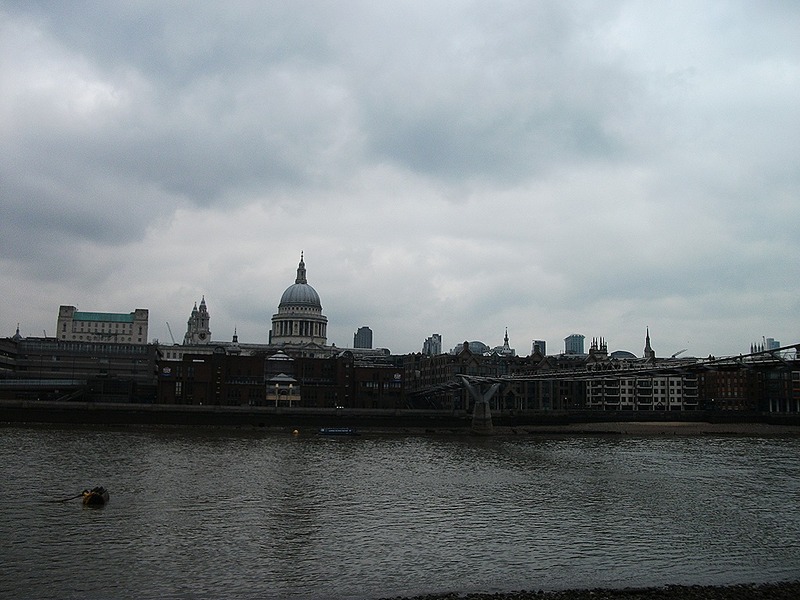 It was Tate Modern that stood towering in front of me. I pushed my way through flocks of students and entered the museum. It was already in the afternoon. I was exhausted and starved. There was a café corner before me when I went through the riverside entrance. Many students were waiting for their turn to buy something. Food! Coffee! I also stood in the line. A short time later, I got a cup of coffee (Americano) and a pack of sandwiches (ham and cheese). But I could not find an empty seat there. Some students were sitting on the floor. I gave up eating there, and went out. Luckily it was not raining or cold outside that day, and I was able to find a bench soon. Three men were playing music two benches away. I enjoyed my lunch, looking at the St. Paul far away over the river and listening to their Latin music. Occasionally some people passing by started dancing or/and singing before the musicians, and laughter broke out. It was nice to see those people. I was enjoying a sense of liberty. 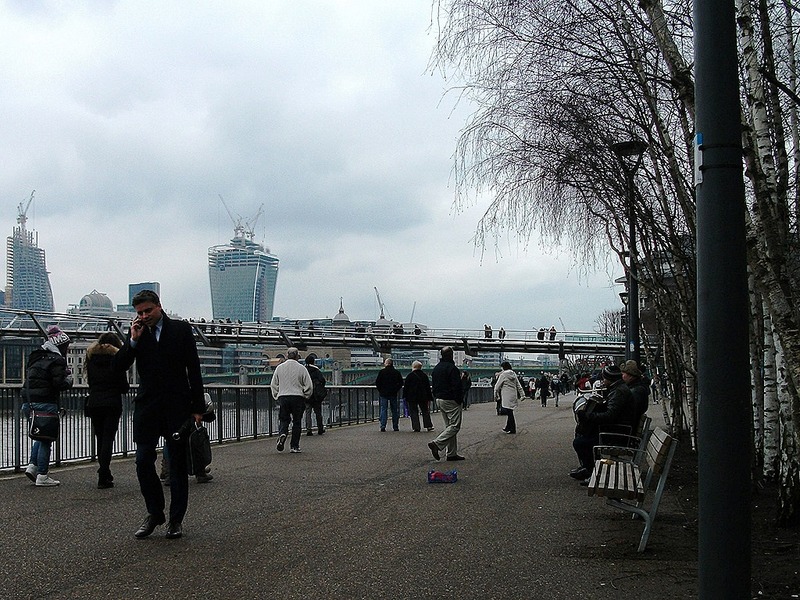 By the time when I finished my lunch, the musicians had stopped playing and the riverside had become a little quiet. 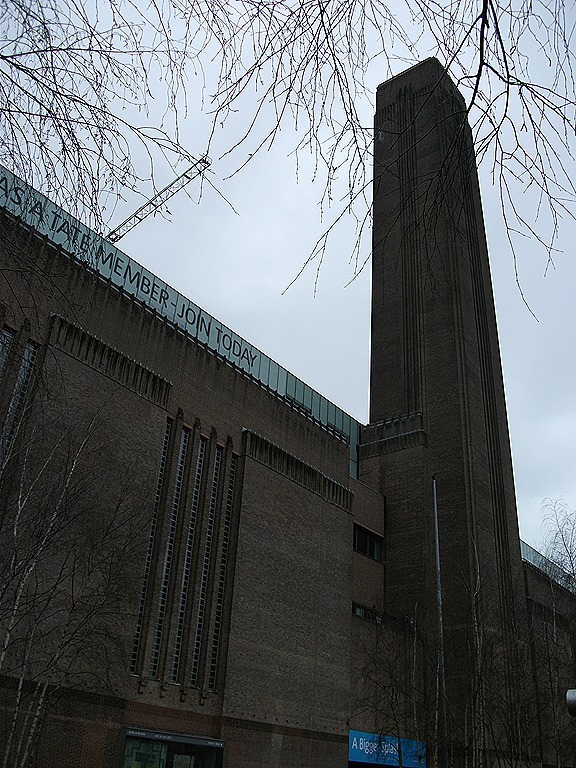 I went back to Tate Modern and explored on the level 2. I enjoyed seeing some paintings of Picasso and other surrealists’ works. Then I dropped by a shop of the museum. I like museums’ shops. A lot of products were beckoning at the shop. Ah…how tempting! But I was able to overcome my desire because I had to walk for a while and did not want to carry heavy things. 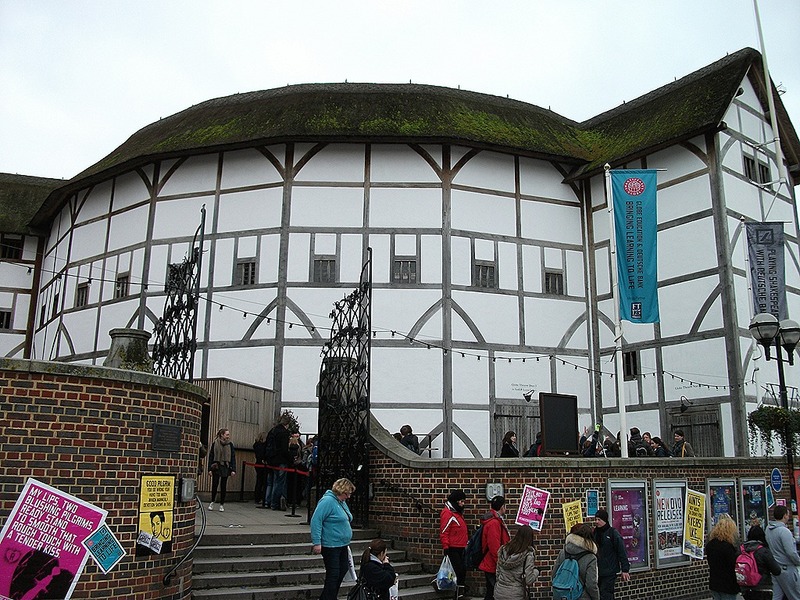 After leaving the museum, I passed by Shakespeare’s Globe. 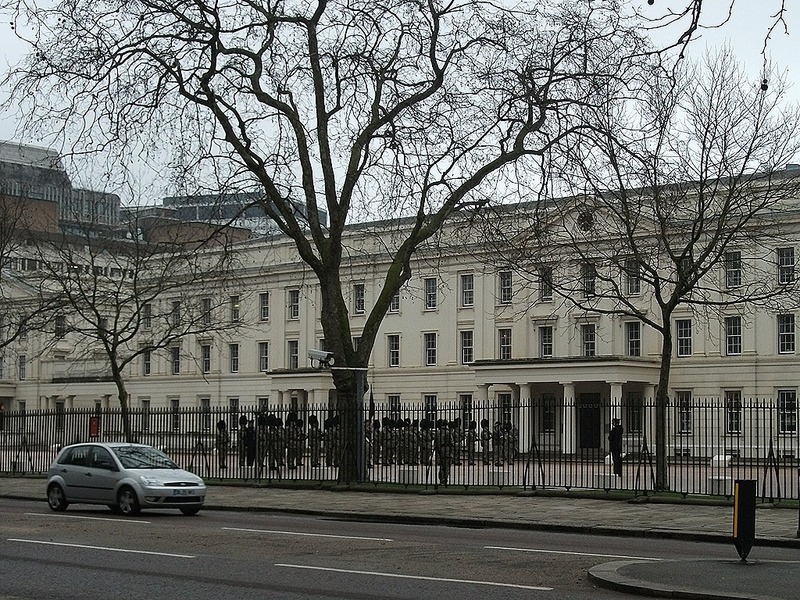 Next time I visit London, I will go inside. But I just looked at the theater from outside that day because it was really crowded. 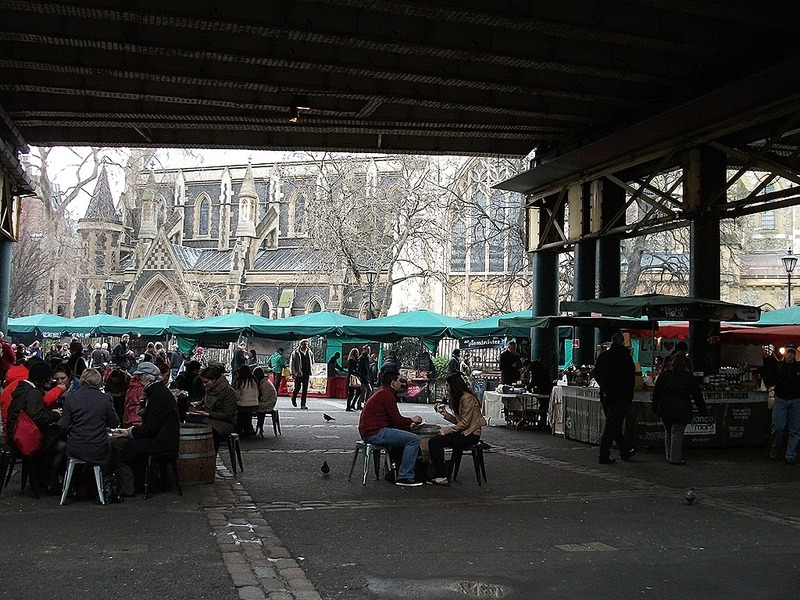 Then I walked through old beer brewery area and came to Borough Market. 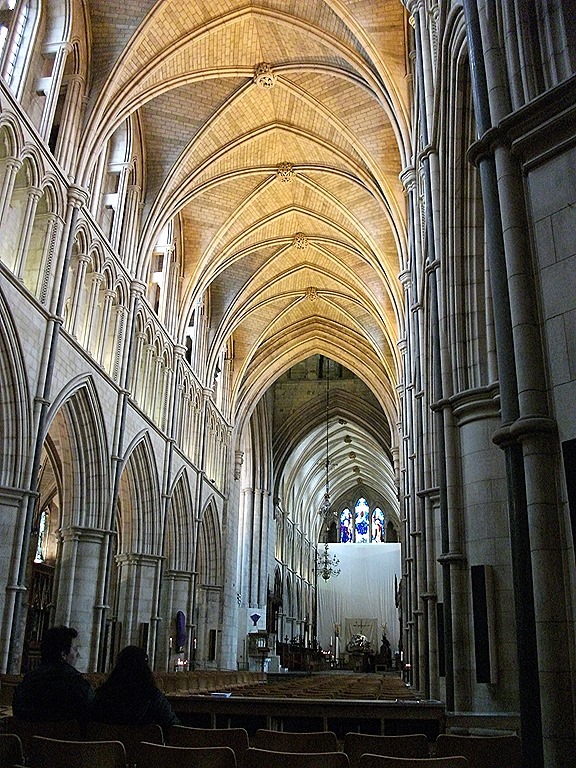 When I opened the door of Southwark Cathedral, there was a completely different world inside from outside. I was in the serene hush. Some people were taking their seats and saying silent prayers. I also sat down and had a rest for a while. I do not know the reason but the church was very comfortable. I went to the shop and bought the permission to take photos inside for £2. 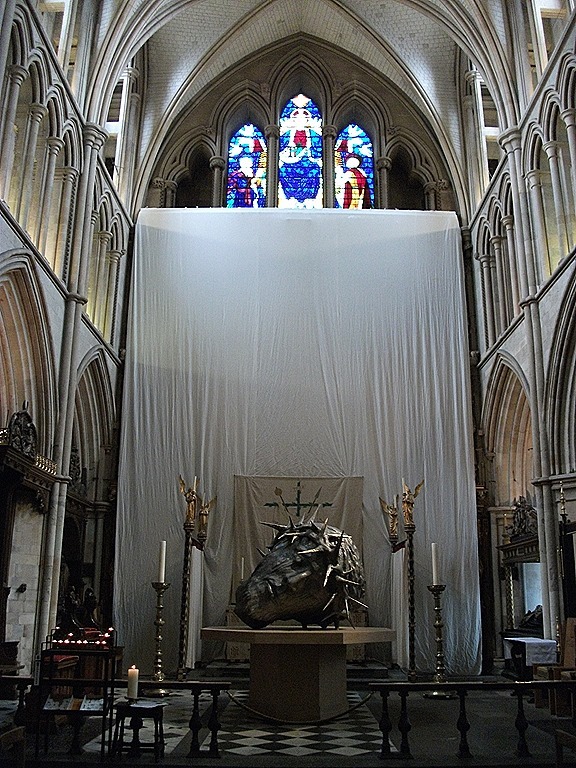 Interestingly they have a huge head of Jesus Christ on the alter. When I was taking that photo, a cat came to me from nowhere. It greeted me with its tail up, and was chafing between my legs for a while. 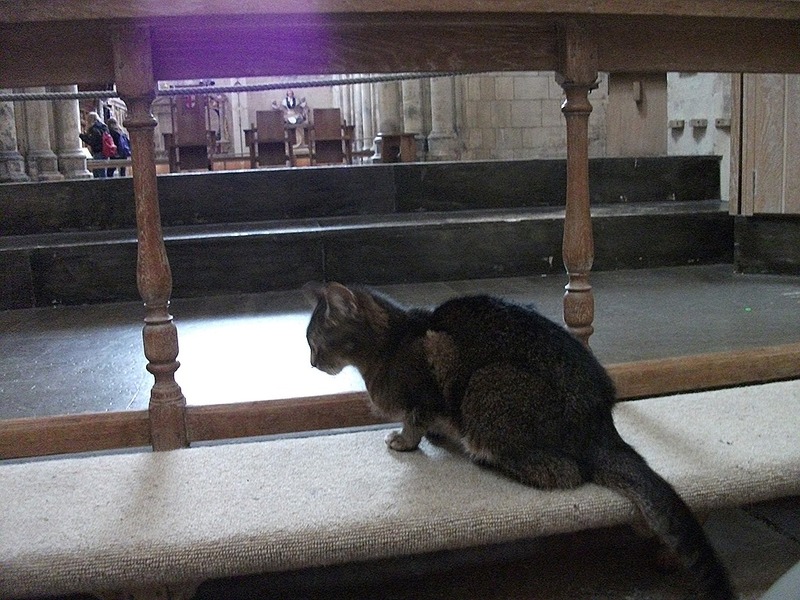 Does the cat live in the church? I liked the place very much because of its atmosphere and the lovely creature. 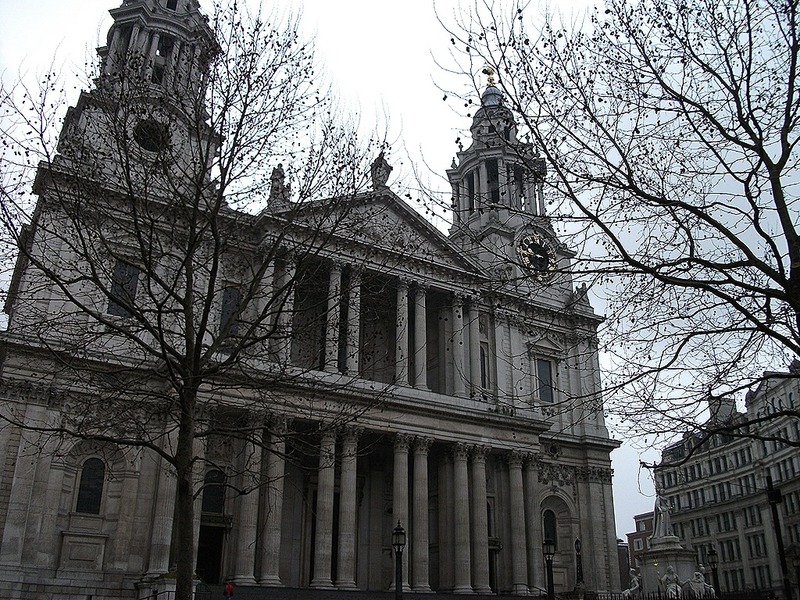 My Travel in London 2 ~ St. Paul’s Cathedral and Temple Church ~ : Yes, I’m in London! 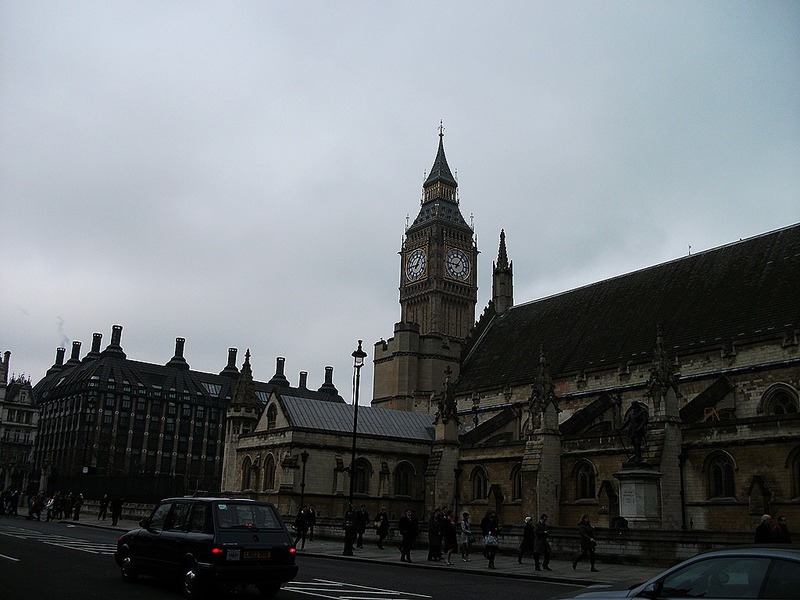 Saying Goodbye to Big Ben, I entered Westminster Tube Station. I went to Bond Street by the Jubilee Line, and there I changed trains to the Central Line and got off at St. Paul’s Station. 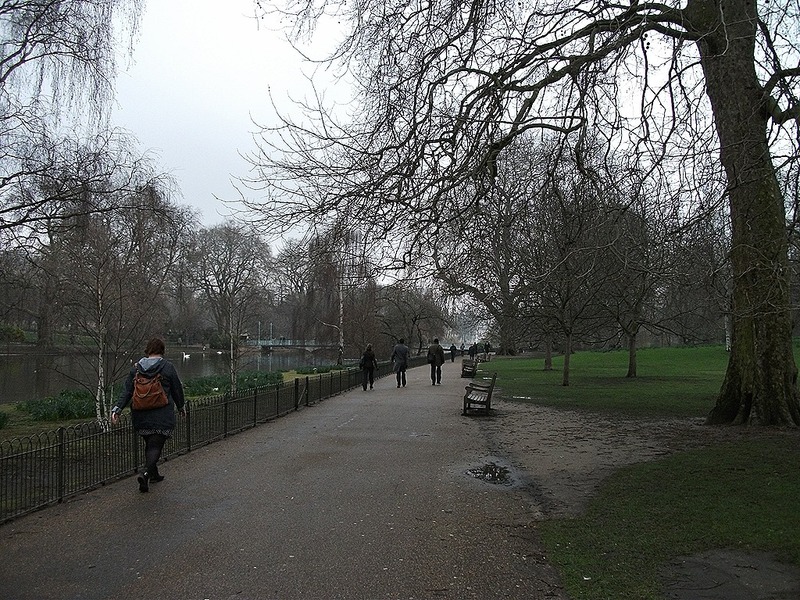 (This is part 2 of My Travel to London. 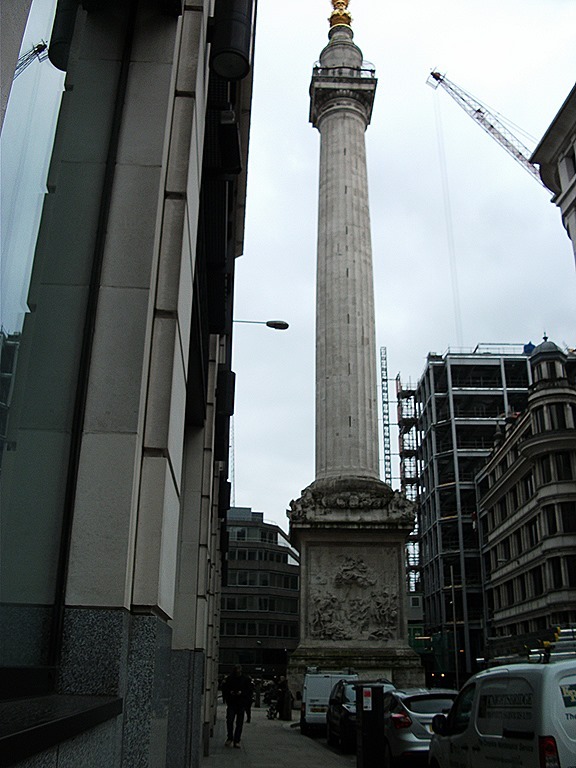 Part 1 is here: http://wp.me/p16bjt-uP ) When I went outside of the station, St. Paul’s Cathedral towered behind me. I was too close to the church to see the famous dome. I had bought a ticket online beforehand. Online ticket is £13 and £2 cheaper than the gate price. According to the ticket, I was supposed to enter from its west gate and did not need to stand in line waiting to buy tickets. But I did not see any lines outside. Actually, there were few people around the building. I climbed up the stairs and opened the door. It was quiet inside from apart soft murmurs. I saw several people in dim light. No one was queuing there. I showed my e-ticket to a receptionist and got a real ticket. Then I started walking slowly and quietly. 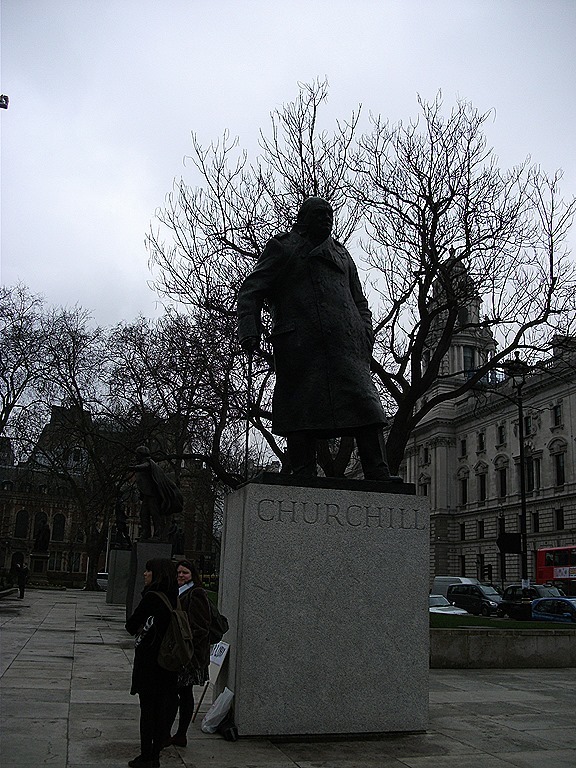 I felt it was strange to be standing in the famous place as tombs for legendary British people like Sir Winston Churchill, and as a celebration place for the 80th birthday and the Diamond Jubilee of Elizabeth II, or for the wedding of Prince Charles and Lady Diana. Actually it was not comfortable for me to walk on gravestones at the crypt. I was overwhelmed by the cathedral’s solemnity, magnificence, elaborateness and, air of substance, and felt stifled. I had a little giddy feeling and went out. 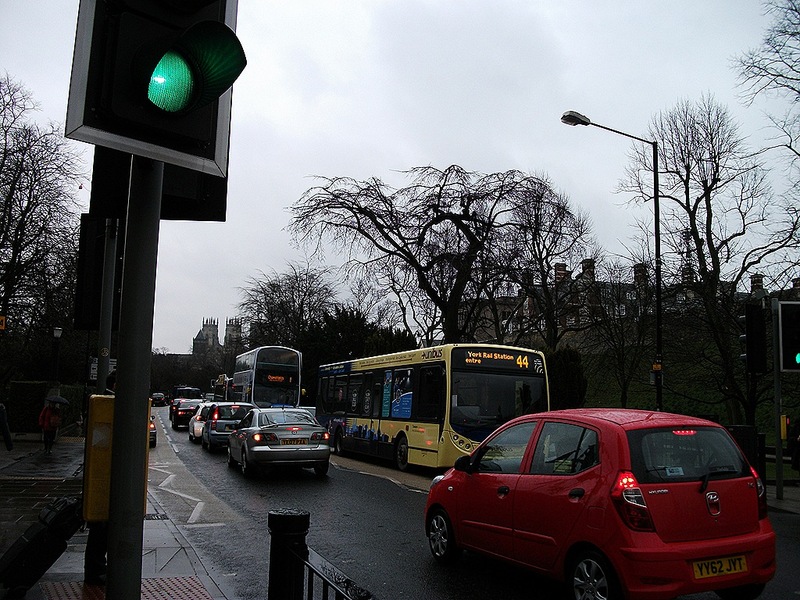 The outside world was bustling with cars, buses and people. 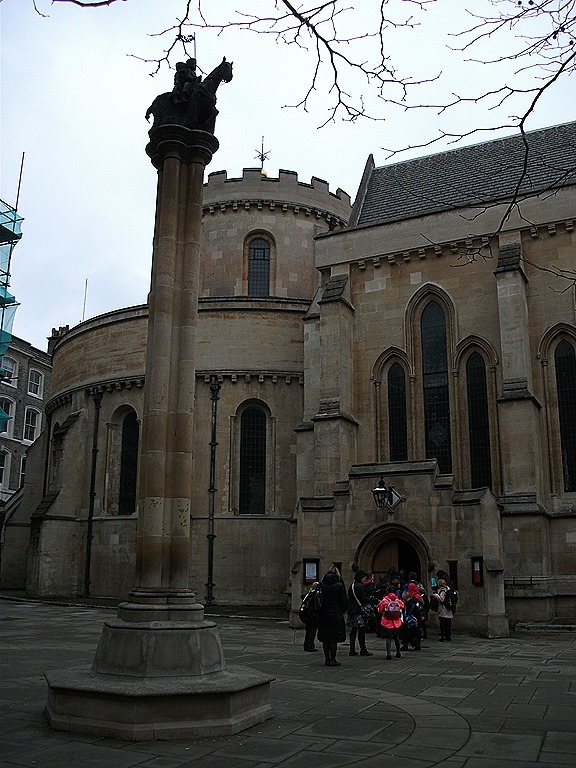 I started walking on Ludgate Hill, and headed to Temple Church on Fleet Street. The church’s open time is different every day. When I visited on March 19, they opened from 11 a.m. to 1 p.m. for visitors. I had heard that it would be very difficult to find the church, but I found it soon. It was a little bit earlier than 11 o’clock. 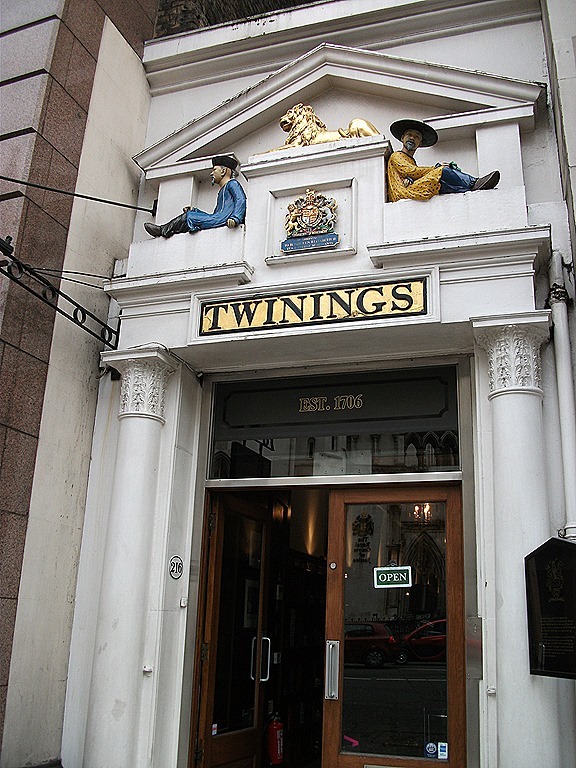 So, I visited Twinings Strand Shop Museum nearby. There were a lot of kinds of teas in the narrow shop. I bought their newly herbal teas: Butter Mint Sensation and Raspberry and Dragon Fruit Sensation. Don’t you think both of them sound interesting? After leaving Twinings, I dropped by a Tesco along the street and bought a plastic bottle of energy drink. 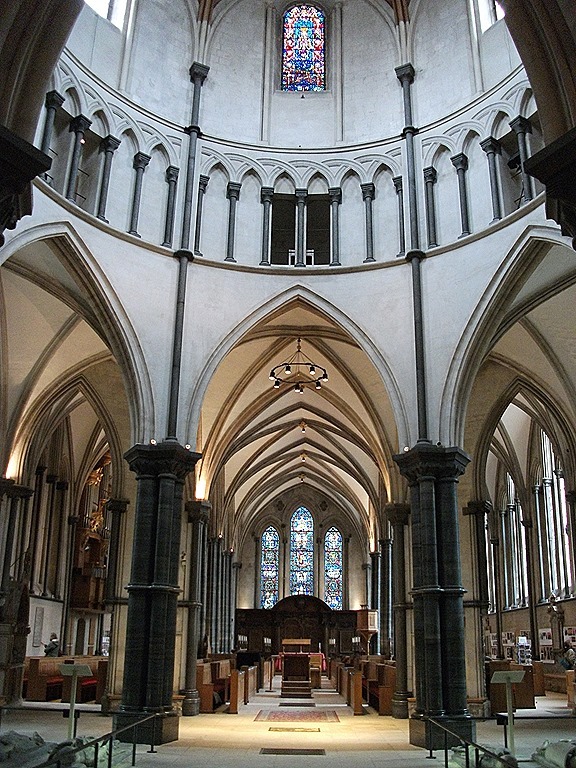 Then I went to Temple Church. 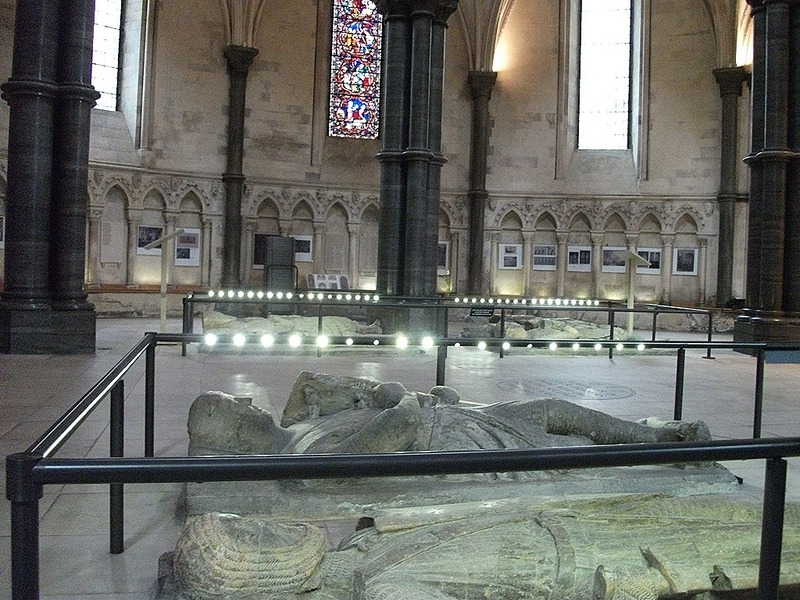 As you know, this place is very famous for an important setting in the film: Da Vinci Code. I waited for their opening time, sitting on a bench near the building and drinking. 11 o’clock! I walked to the door and tried to open the door. But it didn’t open. While I was wondering whether it was a bit earlier, someone came out of the door. I glided in past the opening door. It was brighter inside than I had imagined. A woman at the door welcomed me gently. The entrance fee was £4. 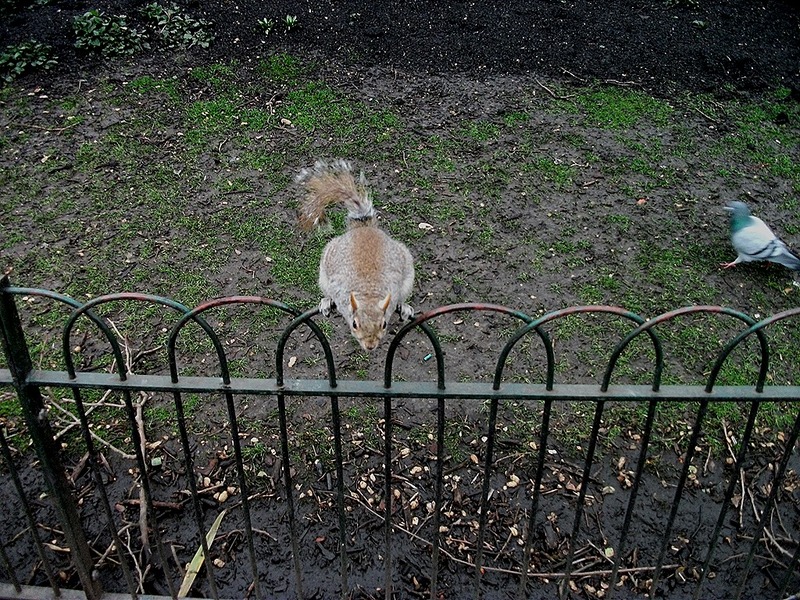 My Travel in London 1 ~ Westminster ~: Would you stop climbing up my leg, please? I opened the curtains and looked out of the window. It wasn’t raining. 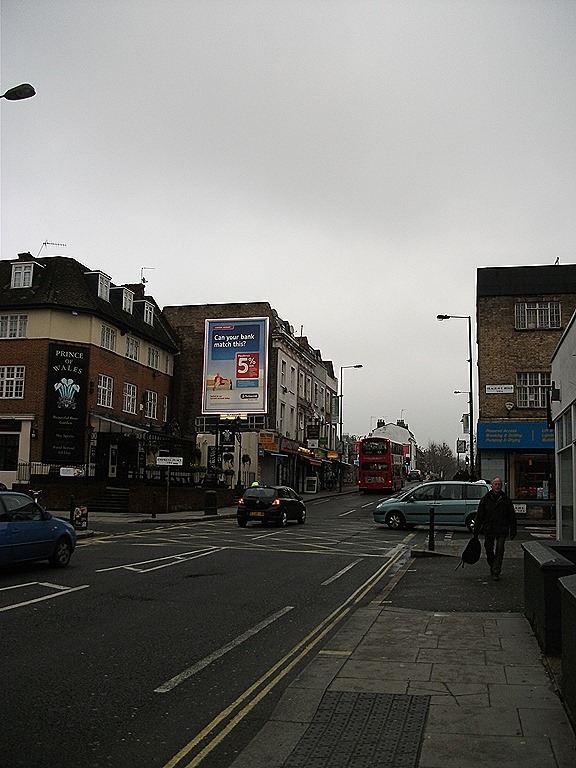 “Oh, I’m lucky!” I was at a room of a hotel near West Brompton Tube Station in London on the morning of March 19. I arrived at Heathrow Airport the previous night, when it was raining hard. Besides, the weather forecast on the Internet had said the week’s precipitation would be more than 90% when I had checked in Japan. I got dressed immediately and headed to the restaurant in the hotel for breakfast. I was supposed to have continental breakfast, but I upgraded it to a hot meal by paying £5.50. It was at around 6:30 a.m. but there were more than 10 people in the restaurant. There were fruits, salads, sausages, bacons, hams, fried eggs, scrambled eggs, omelets, bread, cereals, juices, tea, and coffee on the counter. Everything was delicious, and I ate too much. 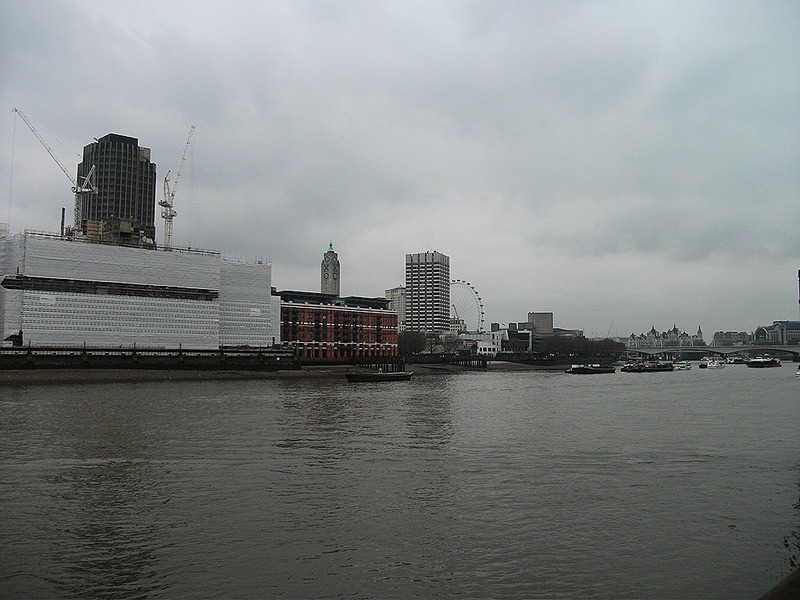 It was my first time to visit London. Actually, it was also my first time to go abroad by myself. I was thrilled to plan where to go that day while having breakfast. I had many places I wanted to see. I got up early because I wanted to spend my time well. 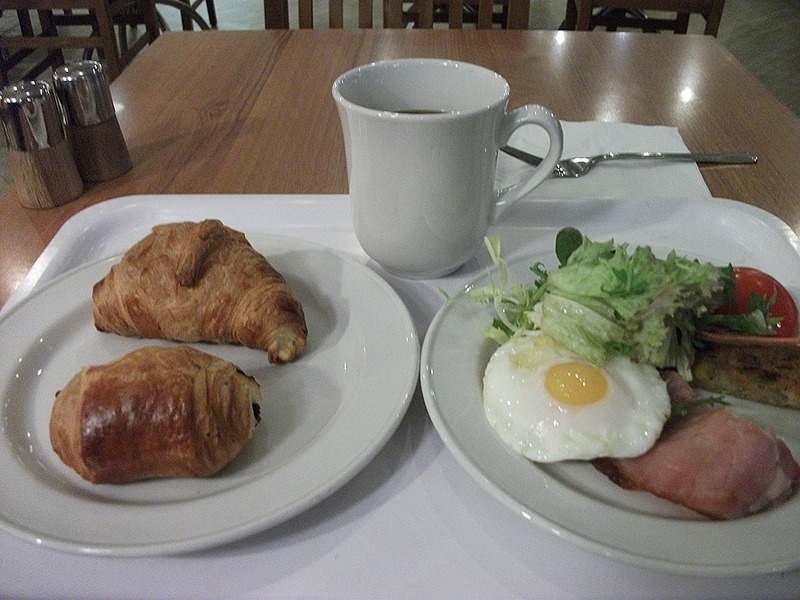 After finishing breakfast, I left the hotel before 8 o’clock. 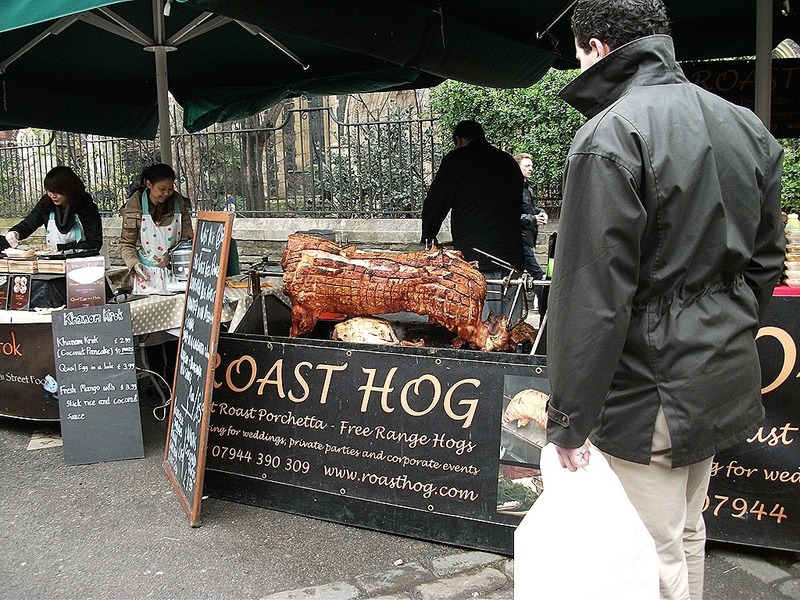 It was about a five-minute walk from the hotel to the underground station. A man was giving Metro, the newspaper, to people in front of the station. Wow! You can get a newspaper for free in London! It was my first time to use the subway in U.K., but I was able to pass the gate smoothly with an Oyster, which is an IC card for taking buses, subways and trains in London. London’s subway is very easy to use. 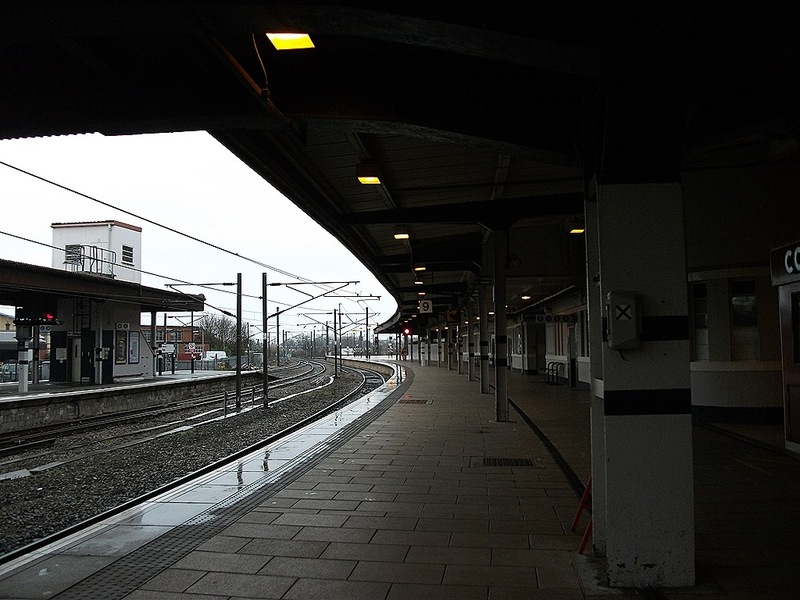 If your destination is west from your present place, you just go to westbound platform. That’s all. So, I did not need to check the underground map during my trip. First, I changed the train at Earl’s Court, and then got off at St. James’s Park Station. 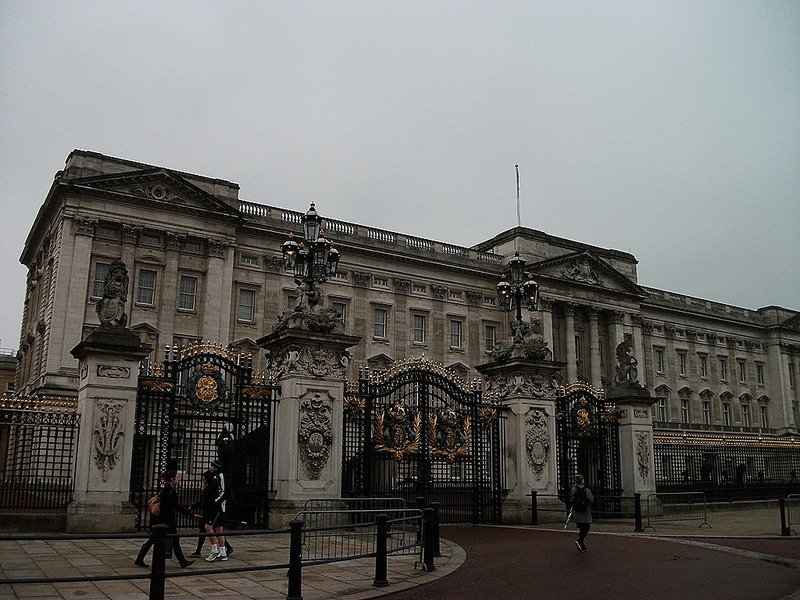 My first destination was Buckingham Palace. I walked through Petti France and got to the palace. It took about 15 minutes from the station. 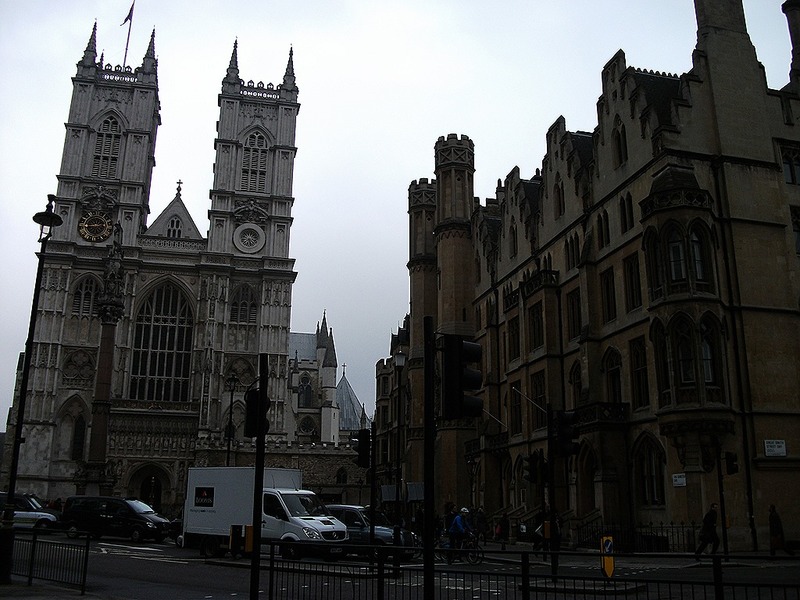 When I arrived at Westminster Abbey, I saw hundreds of people waiting to enter the church. Most of them were students on school trips. I lost my drive to see the inside of the building when I saw so many people. So, I went to Dean’s Yard instead of the abbey. 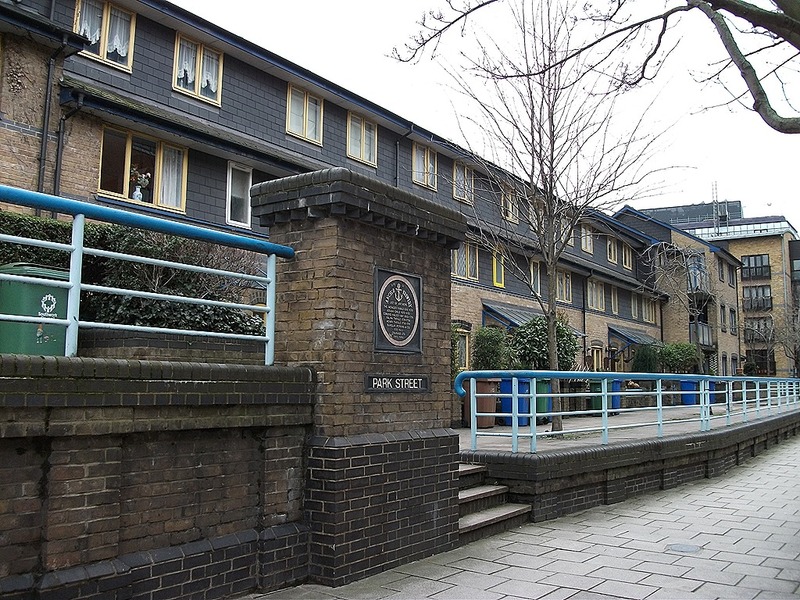 You can go there through the gate of the yellow building next to Westminster Abbey. 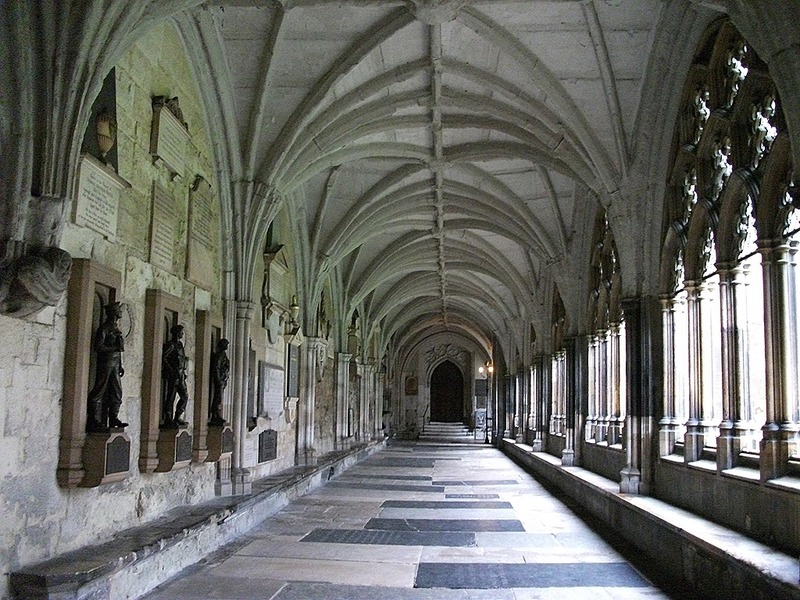 There is a building called the Cloisters near the yard. Actually, I was going to a café named Cellarium in the building. But I didn’t have some tea there because it was before 9 o’clock, when they would open, and I was still full. That was why I just walked around the corridors peacefully. 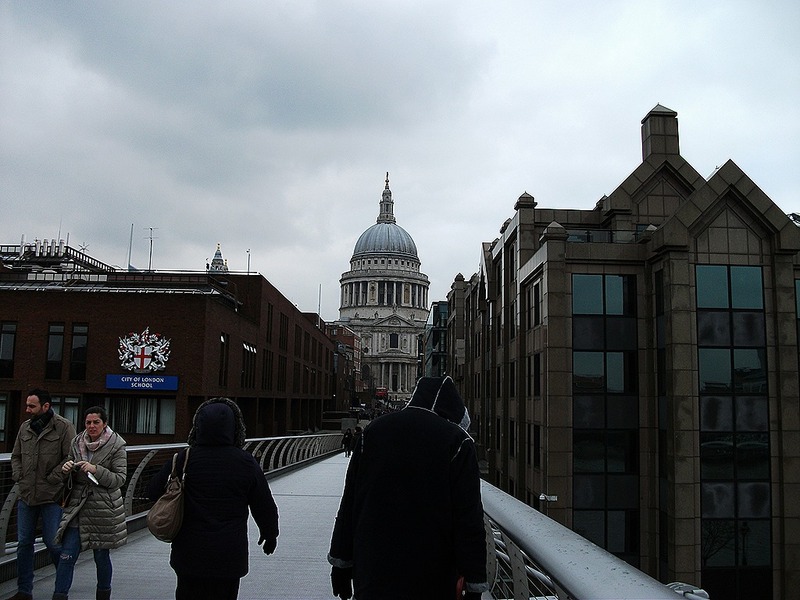 After seeing the flashmob, I left Westminster and headed for St. Paul’s by tube. 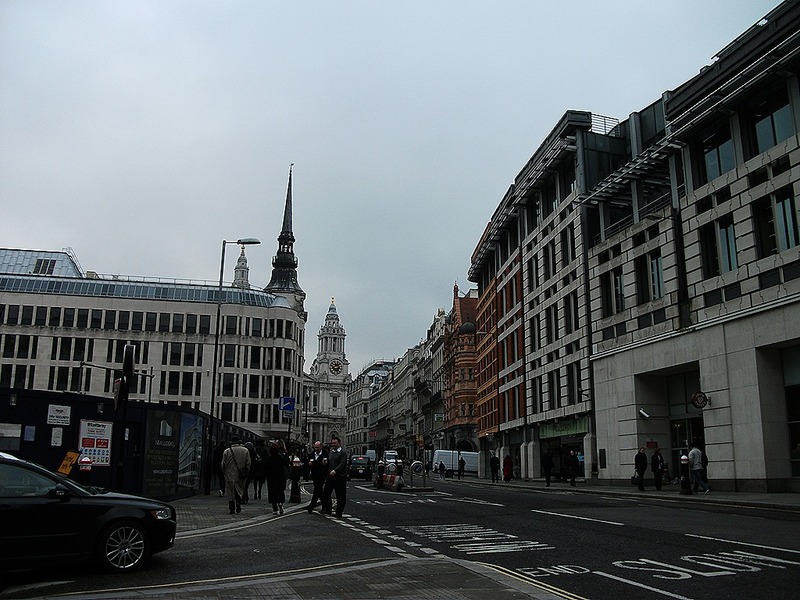 I’ll write about Holborn and City area next time.